The pair Ricardo Paranhos/Rodolfo Streibel (BRA) won the South American Championship of class 470, closed on Sunday (17) in Porto Alegre. The Veleiros do Sul athletes won four of the 10 races held from Thursday to Sunday at the Jangadeiros' Club. 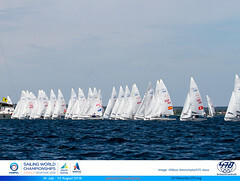 Paranhos and Streibel are among the newest crews of the national 470 class. 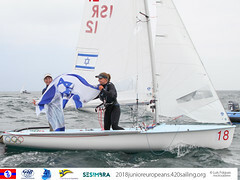 They started their sailing partnership in April 2018, focusing on an Olympic sailing campaign for the Tokyo 2020 Games. - It was a difficult championship, we won with a tiebreaker with the pair Fernanda Oliveira / Ana Barbachan (from Jangadeiros, second place). Our dedication to constant training from Monday to Saturday showed that we can evolve quite technically. 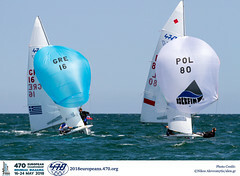 Our next step is to compete in the European Championship in May in Italy and then in the World Championship in August in Japan - said the 25 year old helmsman Ricardo Paranhos. Geison Mendes and Gustavo Thiesen, six-times South American champions, finished third.